VISALIA – When Visalia began its enormous project to turn filthy waste into flowing water they quickly realized the standard name of a waste water treatment facility just didn’t apply. The water at Visalia’s new facility southwest of town doesn’t just treat the water to strain out the solids, it treats the water in three state-of-the-art processes that clean the water to appoint that it can be used for irrigation. In other words, the water is rehabilitated and restored to its near original state where it can be recharged into the aquifer and reused to grow the crops that feed our nation and our local economy. So when the facility at 7579 Avenue 288 opens to the public next Wednesday, Visalians won’t be visiting the former Waste Water Treatment Plant, but a cutting edge Water Reclamation Facility. The City of Visalia will hold a grand opening and ribbon cutting for the facility at 10:30 a.m. on Nov. 7. The event will include welcome remarks and introductions from Mayor Warren Gubler, and addresses from the Public Works Department and Tulare Irrigation District (TID). The irrigation district is a key partner in the facility. Under the 2013 agreement, the city will provide 12,000 acre feet of recycled water per year in exchange for 6,000 acre feet of surface water it will use to recharge the aquifer. 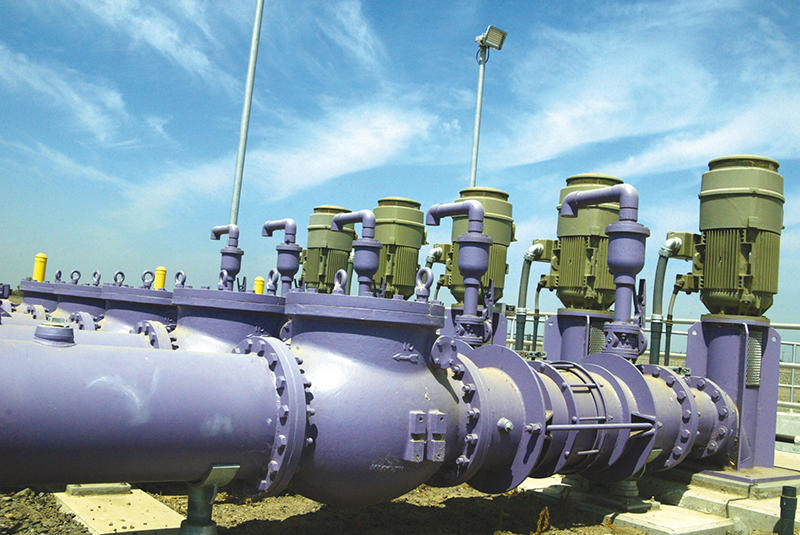 TID is not yet connected to the purple pipe carrying the recycled water from the facility but the city has already received 25,000 acre feet of water from TID since 2016. That’s about equal to the amount of water Visalia pumps out of the ground each year. The exchange gives TID a reliable supply of water each year while the city can meet its requirements for recharging groundwater while pumping less out of the ground. Groundwater recharge will become increasingly important after 2020 when the Sustainable Groundwater Management Act (SGMA) takes affect requiring water agencies to recharge the groundwater with at least the amount of water it pumped out of the aquifer. Attendees have the option to take tours of the Facility after the ribbon cutting, getting a never before seen look at areas not previously open to the public. After flushing your toilet, the “gray water” enters the headworks at the facility where scrapers remove large pieces of waste and grit that can damage the pumps that move water from one level of treatment to the next. From there the water is pumped into clarifier beds or large pools where paddles skim the top of the water to remove floating waste, such as fat, grease and oils, and then scraps the bottom for heavier waste. This process is known as primary treatment which also slows down the water to avoid overwhelming the pumps. Water is then sent through a fine screening process where unsettled solids are removed from the water before heading back to a pooling area known as aeration basins. Large air pumps blow millions of small bubbles into the water to facilitate bacteria that convert ammonia to nitrites and then into nitrogen gas that is released into the atmosphere and removed from the water. The water is then sent to one of the most unique aspects of the facility, the membrane bioreactor (MBR), where it is sucked through millions of straws perforated with holes half the diameter of a human hair. Any remaining solids are squeezed out through these microscopic holes as the water is carried from the secondary treatment to tertiary treatment. Visalia’s facility is the 13th largest MBR plant in the world and the fifth largest in the United States. After the MBR, water is slowly flowed through a UV Disinfection area where hundreds of ultraviolet bulbs sterilize any micro-organisms that may have survived the primary and secondary treatments and disinfects the water without the use of chlorine, which is hazardous to house in large quantities on site. After the third level of treatment, the water meets all of California’s standards for drinking water. With a price tag of $152 million, the facility is the largest public works project in the City of Visalia’s history. To RSVP or share the event, visit the City of Visalia on Facebook.